“What’s so special about the new iPhone?” I’ve been hearing that question over and over in the past few days, and here’s my stock answer: it’s thinner, lighter, faster … and wait ’till you’ve seen the bigger screen. Indeed, it’s amazing how quickly my eyes got used to the taller, four-inch display on the iPhone 5—so much so, in fact, that my old iPhone 4 screen now looks stubby and cramped in comparison. Unfortunately, just a handful of apps have been optimized to take advantage of the extra space—well, besides the core iPhone apps from Apple, that is. 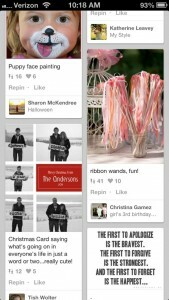 A bigger screen means more “pins” to peruse in the Pinterest iPhone app. The rest are plunked in the middle of the screen, with black bars above and beneath. Sure, they still work perfectly fine, but what a waste of space! So, which super-sized apps should you try when you’re showing off your new iPhone to your friends? Here are seven of my favorites—and yes, they’re all free. Facebook recently rebuilt its iPhone app from the ground up to juice its performance, and a just-released update zooms the interface to fill the entire iPhone 5 screen—perfect for browsing all those status updates and baby photos in your news feed. This eye-catching “social magazine” takes headlines and photos from your favorite sites and social networks and turns them into gorgeous, flippable pages. Already one of the most impressive iPhone apps in the App Store, Flipboard looks even better now that it’s been optimized for the bigger iPhone 5 display. You still can’t “pin” anything from the Pinterest iPhone app like you can on the iPad, but Pinterest on the iPhone makes for a great way to browse the latest pinned goodies from your fellow Pinteresters—and on the iPhone 5, you’ll see even more pins in a single glance. Unleash your inner artist with this free painting app, which lets you paint on a virtual, widescreen canvas with 14 different brush shapes. Customize your brushes, “record” your brush strokes and play them back later, or share your creations via Facebook or Twitter. 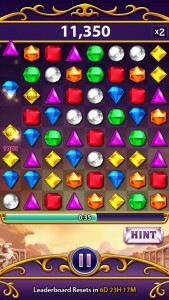 The addictive “Bejeweled Blitz” looks even more beguiling on the four-inch iPhone 5 display. Sit back, relax, and lose yourself in a lengthy online article with Pocket, an app that takes long text stories from the web, and saves them on your iPhone, all formatted for easy reading. Yes, the new-and-improved “Reading List” feature in Safari will also save web pages on your iPhone, but the iPhone 5-ready Pocket app does Reading List one better by letting you flip through pages like a book, just like on a Kindle. Here’s an iPhone travel app with a difference. 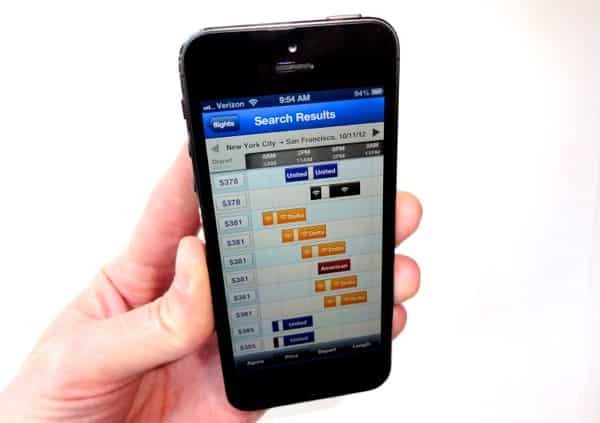 Instead of just spitting out a list of available flights, Hipmunk (pictured above) creates a color-coded chart that lets you compare departure and arrival times, as well as pinpoint flight with on-board Wi-Fi. And thanks to the iPhone 5’s longer screen, you’ll be able to view up to 10 flights at a glance. The addictive, ever-popular “match-3” puzzler is now enhanced for the bigger iPhone 5 display. The game itself is free, but expect to pay extra for score-boosting power-ups. Got more app suggestions for the new iPhone? Post ’em in the comments below!